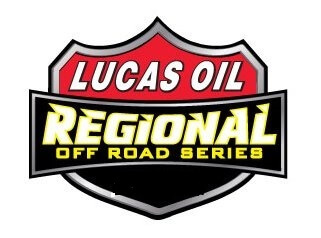 The 2017 Lucas Oil Regional Off Road Racing Series presented by Kartek finally got underway March 11-12 after unseasonably wet weather postponed Rounds 1. The season opener was set for Feb. 18 at Lake Elsinore Motorsports Park but at the time one would need a submarine to race there. 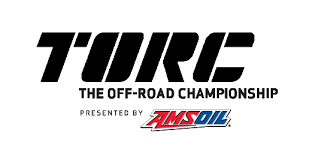 Again, Rounds 2&3 were scheduled for Lake Elsinore but as the track had not dried the decision was made to move to Glen Helen Raceway. With a more typical sunny weekend offered the event finally kicked off the 2017 race season. AM Ortega J1 Kart-B Main was won by Ryan Rasso on Saturday with Raygen Wilkins second and Ryder Palmer crossing over third. On Sunday David Poole took the checkers first with Jake Bollman second Irie Bailey was third. Travis Sallee saw the checkers on Saturday in the RZR 170 event with Jessie Owns second and Ryder Chapman third. The following day Sallee again won the event with Ryder Chapman taking second and Braden Judge third. Lance McDonald won the Panoroama Corp J2 Kart main on Saturday which Chance Chrisman second. Katherine Jones was third. On Sunday David Gasper took the win with Madison Dye second over Niko Lopez. In the Mini Open / Open V8 / Desert Buggy class Adam Daffner took the Saturday win with Jeff Obering second and Kipp Mickels third. Adam Daffner continued his winning ways on Sunday with Bridget Burgess taking second and Jordan Brenthel third. Jared Juliano took the first AM Ortega J1 Kart win with Lincoln Henson second and Bryanna Fischer third. Taking the win on Sunday was Brayden Fischer and Raygen Wilkins was second while Bryanna Fischer crossed over third. In teh Bakersfield Karting Experience Modified Kart opener Chris Nunes captured the frist checkers of the season. Cole Keatts was second and Branden Sorensen earned third. Trey Gibbs was the winner on Sunday while Chris Nunes crossed over second ahead of Mia Chapman. Danial Ferdon crossed over first in the Saf-T0Co Supply Mini Stock event with Jason Milligan second and Bryce Romine third. Ferdon would again see the checkers first the following day with Bryce Romine taking second and third Jason Millgan. Myles Cheek had a great start to the season by winning both the Motoshield Pro Production 1000 events with Brandon Arthur earning second and Cody Rahders third for the weekend. Kyle Knott was first across the line in the Limited Buggy / 1600 Buggy division. Chad Clabaugh was second and Matthew Brister third. When they came out the following day Brock Livesy was able to grab the win with Ron Carter second and Kyle Knott third. The Weller Racing Sr1 class saw Brandon Kilgore take the win from Dustin Nelson on Saturday with Bryan McCormick third. The following day Nelson put it together for the win with Bryan Gordon crossing over second Scott Webster was second. The PAC Springs Unlimited & Prod Turbo class Cole Keatts took the firs win of the season. Paul O’Brien was second and Jeff Obering third. Keatts again took the win on Sunday with Corry Weller taking second and Paul O’Brien third. Day Daniel was the first Pro Buggy winner of the 2017 season. Steven Clabaugh crossed over second and third was Matthew Brister. On Sunday Clabaugh took the win with Brister second and Kyle Aarup crossed over third. Corry Winner won the first Fabtech Pro Lite race of the season with Jimmy Weitzel second and Mickey Thomas third. Winner would again see the checkers first on Sunday with Christopher Polvoorde second and Hailie Deegan third. John Gable won the Gear Alloys Pro Open event with Adam Daffner crossing over second and Erik Jacobus third. Then the three repeated their finishing positions on Sunday. Click on Read the Full article for complete results.